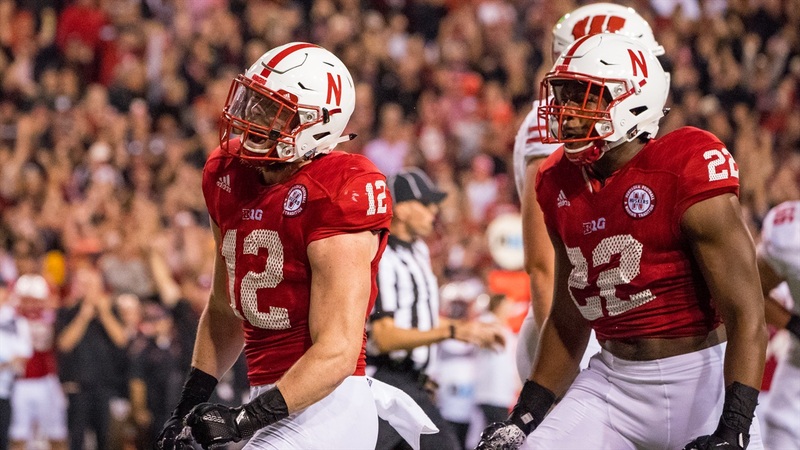 When Nebraska meets Purdue on Saturday it will be without one of its leaders on the defensive side of the ball. Luke Gifford, Nebraska’s starting outside linebacker, will miss the Purdue game with a hip injury. Instead, the Huskers will turn to senior Marcus Newby, who began the season listed as a starter, for heavy minutes and sophomore Jacob Weinmaster as Newby’s primary backup. Inside, linebacker Dedrick Young II, who had to have surgery on his wrist during the bye week to correct an issue that hadn’t healed properly, has been cleared to play and will start against the Boilermakers, Riley said. On the other side of the ball, Riley confirmed that right tackle David Knevel will also miss the game, and true freshman Brenden Jaimes will make his fifth consecutive start. One spot over, at right guard, Riley said junior Tanner Farmer would continue to start. Riley also said sophomore tailback Tre Bryant had successful knee surgery earlier in the week. Bryant posted this picture to Twitter after the procedure. >> The Huskers’ secondary is, for the moment, fully healthy and looking like what the coaches expected to see before the season. Cornerback Chris Jones and safeties Joshua Kalu, Aaron Williams and Antonio Reed all made it through practice this week in preparation for Saturday’s game. >> Riley said Jones in particular has benefited greatly from the bye week coming when it did. Jones made his return against Wisconsin on Oct. 7 and saw limited action following just a week of practice, but was able to play more against Ohio State on Oct. 14. Now, he’s had game experience and plenty of time to review film. “I think he’s had a great week of building confidence,” Riley said. >> New athletic director Bill Moos spoke to the team on Thursday and got a tour of the Huskers’ football facilities. >> Despite the sour taste of the last game the Huskers played hanging in their mouths for two weeks instead of just one, Riley said Thursday he likes where their collective mindset is at. “I really try to not fool myself and make stuff up. But I really liked the whole week of how this thing has looked,” he said. “I thought in the off week, that the practices were really good, enthusiastic. We did very little game-planning that week, and a lot more football playing interacting. "I was really impressed with the spirit and attitude, and I thought it was almost cathartic. That it was a release of just getting to play without a game in front of them. These are good kids. They've grown in a lot of ways. We just have to continue to grow the football part of it and win. That's it. Because I think we're getting the rest of it from these guys. We're getting engagement. We're getting good work. The enthusiasm for the word today was at a high level. You would not think that these guys are thinking about being bogged down or whatever."